The Addingham. Simple, elegant design that is popular and will not break the bank! The Addingham Juliet balcony. For those looking for a simple, stylish Juliet balcony that won’t break the bank! 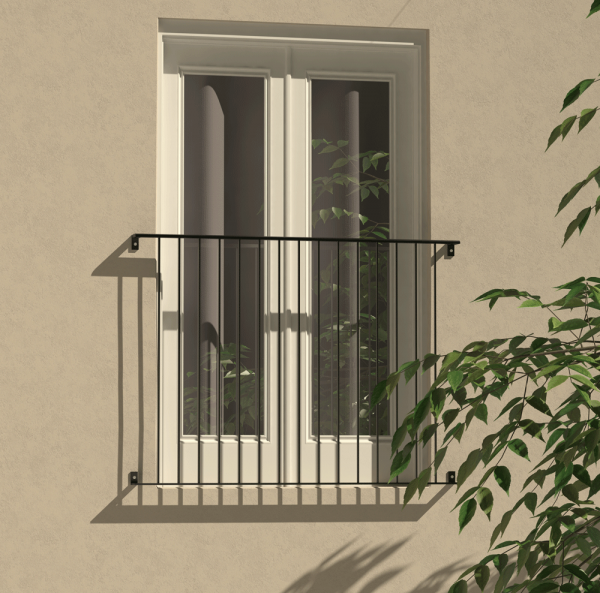 Suited to a wide range of property styles the Addingham balcony is easy to fit and is also available in custom sizes. 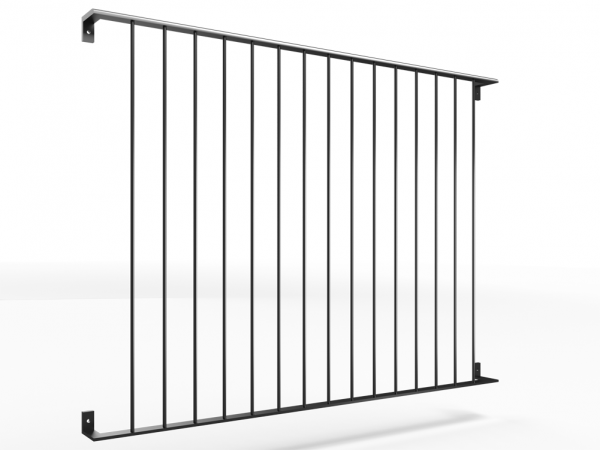 The top rail is made from 40mm x 12mm soft-touch convex bar. The bottom rails 40mm x 8mm flat bar. The infill bars are 12mm round section. 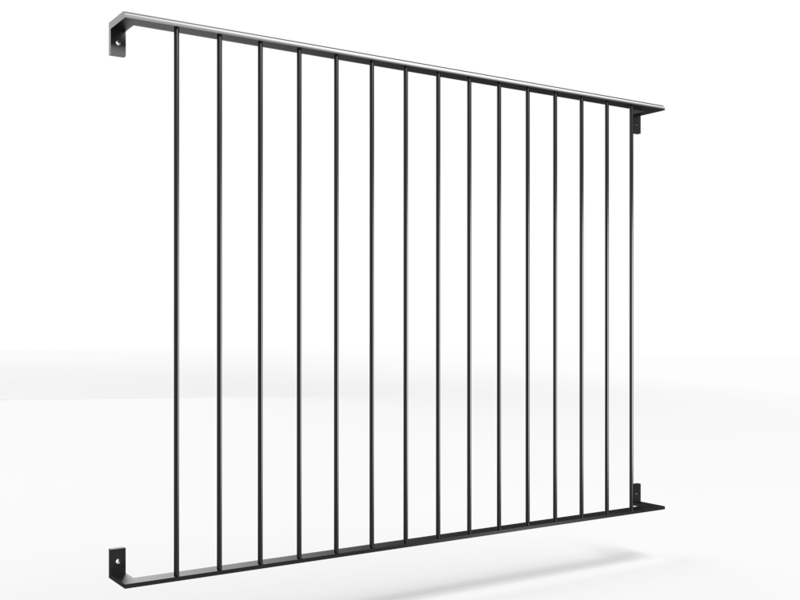 The gap between the bars is less than 100mm which is compliant with UK building regulations. The balcony projects 100mm From the wall, and has a clearance of 60mm Between the back of the balcony and the face of the mounting feet. The mounting holes in the feet are drilled at 10mm. These are designed to suit M8 fixings.